There is nothing more exciting than seeing a brandy new shiny HDD sitting on my front steps waiting for me. There is only one company that could have done this… wait… you guess yet? Hitachi! Yeah, I said Hitachi. If you folks have ever voted on our polls here at C.O.D. 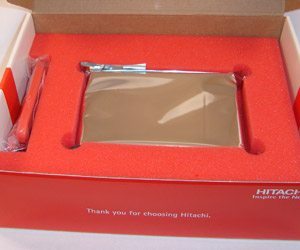 you would see that only 2.13% of our readers rate Hitachi as their favorite hard drive brand. That either means you think they put out crap, or you don’t know who they are. Let’s see if we can put either of those to rest here. Enter the Hitachi Deskstar 7K500, also known in charts as HDS725050KLA360. Back in the day, some of you may remember that IBM had the Deskstar lineup. You may also remember that they were pretty much the performance kings at that time. Then, some of you may remember the reliability issues people had for which they actually filed a class action lawsuit against the manufacturer. That was for the 75GXP models and if you want a link, click here: http://www.ibmdeskstar75gxplitigation.com/. 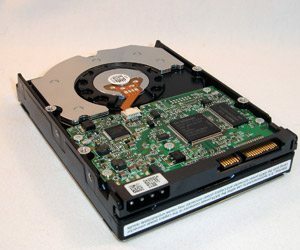 Since then, IBM gave up and sold their HDD operations to Hitachi. 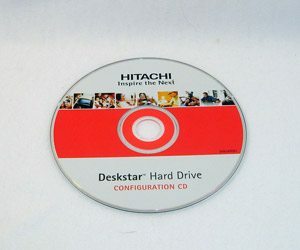 Link: http://www.internetnews.com/infra/article.php/1183321; and Hitachi has been working hard trying to revive the Deskstar name. 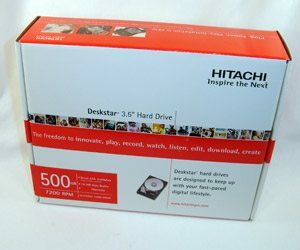 The Deskstar drive doesn’t look dissimilar to other drives on the market, and thankfully Hitachi chooses to allow us to connect power via the standard 4 pin molex or the SATA Power connection. I don’t normally comment on the packaging of many items, but I have to tell you that this drive is packaged very nicely. Everything (CD, Manual, and cable) fits in the box very neatly and is done so by some nice red spongy stuff. 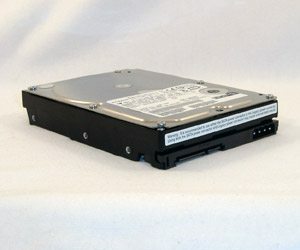 This is a pleasant change from the standard home most drives are shipped in and if this is any indication of the quality, then this drive is sure going to be nice.